School’s Almost Over – Will You Know Where Your Kids Are? School’s almost out for the summer and I have a tween at home that couldn’t be happier. He’s looking forward to fun days with his friends, playing at the park and spending his days swimming in the pool. Now that he’s getting older, he wants a little more independence but I still need to keep tabs on him and know where he’s at. So what’s a mom to do? Thankfully Life360 has me covered and I’m excited to partner with them on this post today. While I have the benefit of working from home and am able to keep tabs on him, there are plenty of moms who don’t have that option. So what do you do? How do you know your kids are at the park like they said or at their friends house? Well let me introduce you to Life360. 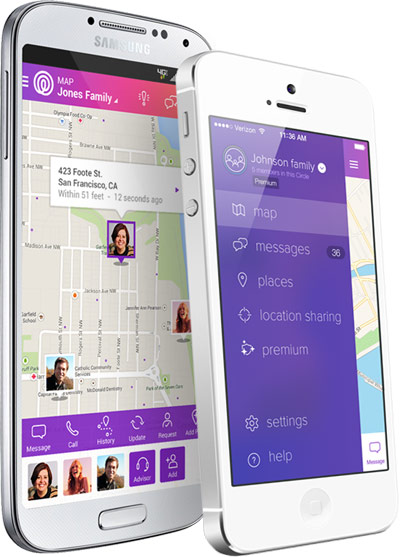 Life360 is an amazing and free app that can be download right to your phone and allows you to find your kids when you need to. You can easily find out where they are and if they made it to their friends house and forgot to let you know. I know the minute my tween walks into his friend’s house, he’s forgotten all about me and is just ready to play with his friends. I can easily see how a phone call to check in can easily be forgotten. With the Life360 app, I can set up my own private circles with grandparents, dad and me that keeps my private info hidden so I don’t have to worry about any of our check-ins being public. With this I can easily skip the phone calls and texting and do everything right through the app. I’ve had the app for a few months now and love how easy it is to use. Now that summer vacation is almost here, I can see me using it even more now. There is even a great feature that allows my tween to see and use a daily “to do” list that I can create for him to do his chores or studying. No more leaving little notes or reminders and I can easily check to make sure they’re done before moving on to video games and other things he wants to spend his time on. He loves the independence Life360 gives him. I’ve noticed how he’ll check the app himself without my prompting and it motivates him just a bit more to get his things done. Try the app for yourself and see what it can do for you. Learn more by visiting Life360 on Facebook or at www.life360.com. Disclosure: This is a sponsored post written on behalf of Life360. All opinions are my own.